Knowing nothing about clinical psychology at the outset, I was surprised by how accessible this book, geared towards an audience of professional therapists, turned out to be. The language was not technical and the concepts seemed simplistic. Because of this, I have split feelings (haha) about it; on one hand, it was enjoyable to gain an understanding of general psychology concepts, but on the other hand, I was shocked that any practicing clinician would need a book this basic. 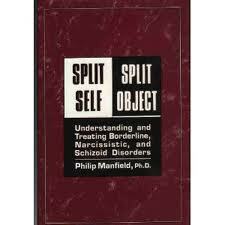 No matter what Manfield’s approach might suggest about the competency levels of some therapists, I read this in an attempt to gain the tools to understand myself a little better and it was a successful experience. Until now, my understanding of psychotherapy consisted of something vague about people who think they’re smart, generally wear glasses on the tips of their noses, scribble meaningfully on notepads while muttering tut tut and claim couches as business expenses. Now, I understand better that a therapist’s job is more to direct their client’s self-analysis than to intervene. My conclusion? Making people think is cool. Making yourself think is cooler. Challenge accepted.